That the Polish is a very old breed goes without saying, although its ancestry is none too clear. The crested Dutch or Polish was imported from Eastern Europe, probably Poland, and upon landing in England, they called them Poland Fowls. Many connect them with the breed Paduan or Patavinian Fowl, although the original example is illustrated without muff or beard. Polish (Gold or Silver Spangled, Black or White) had a classification were first shown in London in 1845, and was standardised in the first book of standards in 1865. 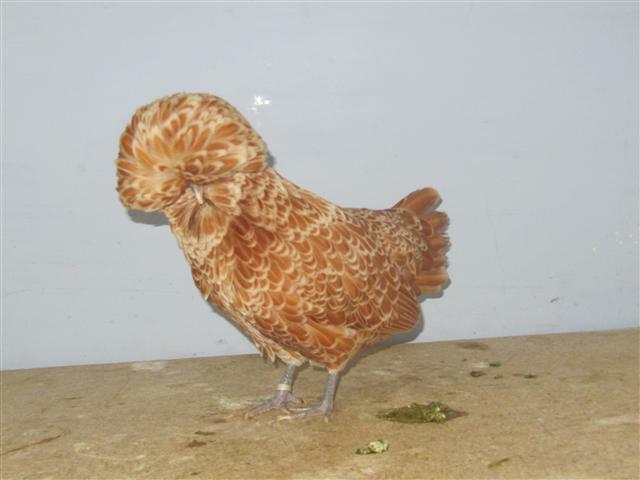 The most striking characteristic of the Polish is the large protuberance or knob on top of the skull from which the crest of feathers grows, and the large cavernous nostrils which are found only on crested breeds. 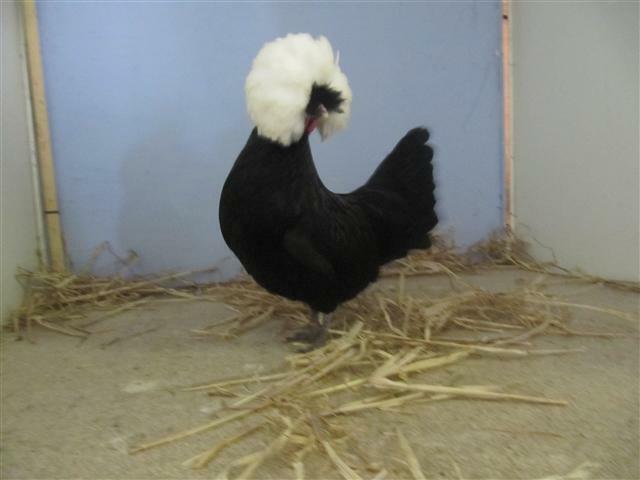 Darwin classified all fowls with top knots as Crested or Polish but did not give any data regarding their origin. The Dutch claim to have been the first to breed the White Crested varieties.